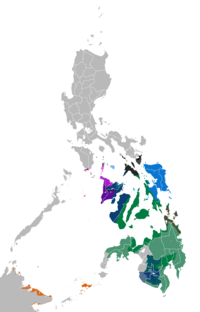 The Visayans (Visayan: Mga Bisaya; local pronunciation: [bisaja]) is an umbrella term for the Philippine ethnolinguistic groups native to the whole Visayas, the southernmost islands of Luzon and most parts of Mindanao. 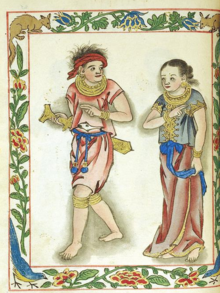 Those particularly within the Visayas broadly share a sea-based culture with strong Roman Catholic traditions merged with cultural elements through centuries of interaction and inter-migrations mainly across the seas of Visayan, Sibuyan, Camotes and Bohol, and in some secluded areas merged with ancient animistic-polytheistic influences (i.e. Folk Catholicism). 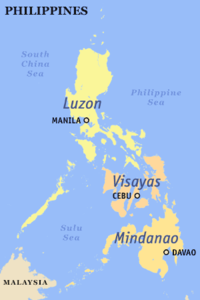 Most Visayans are speakers of one or more Visayan languages, the most widely spoken being Cebuano, followed by Hiligaynon (Ilonggo) and Waray-Waray. Many have, at some point in their lives, migrated to Metro Manila and its surrounding provinces out of necessity brought about by the negative effects of economic centralization in their nation. They comprise the largest grouping in the geographical division of the country, numbering at around 33 million as of 2010.